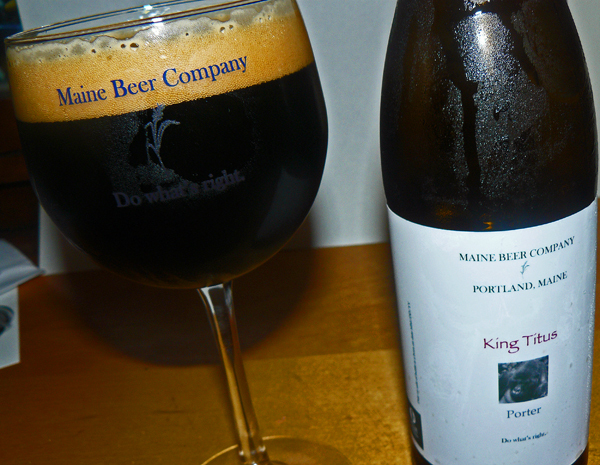 Regular readers of this blog know I’m a big fan of Maine Beer Co. I have never had a Maine Beer brew that I did not thoroughly enjoy. 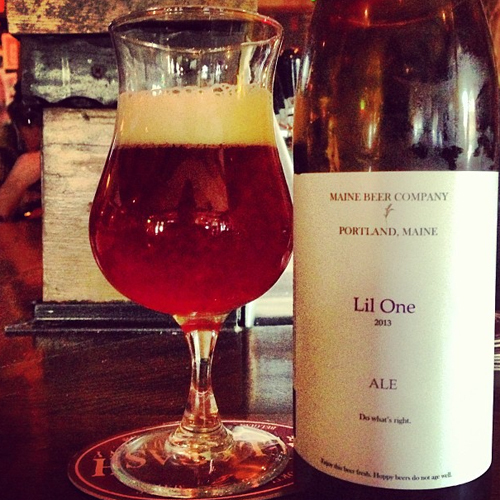 So I’m psyched to see that the brewer released a new brew, Lil One ale. 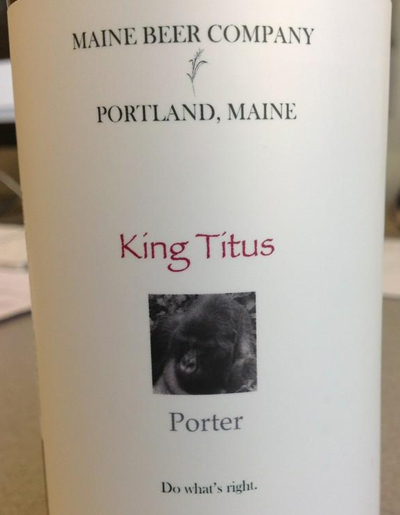 I don’t have too much information on this one yet, and Maine Beer Co.’s website is down as I write this. But I reached out to the company via Twitter requesting specifics, and I will update this post if I get any more details worth sharing. “Some may call this a malty double IPA, some a hoppy barley wine. We prefer that it not be classified. We think of it, simply, as our strong winter ale. Intense hop aromatics and flavor (think pine, candied orange) blended with just enough malt sweetness to balance out the palate. Unfortunately, Maine Beer’s brews are only distributed to nine U.S. states at this point: Maine; Massachusetts; New York; New Hampshire; Maryland/DC; Philadelphia; Rhode Island; Vermont; and Virginia. But hopefully that changes soon. I’m back like the Terminator, motherfuckers. 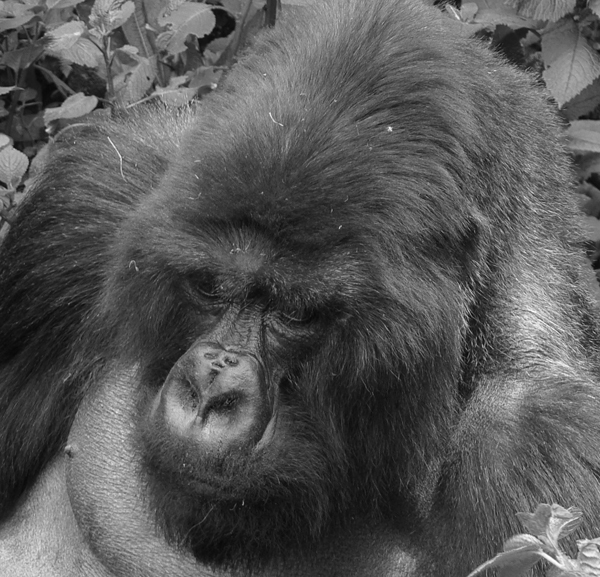 My holiday vacation was great, but it’s time to return to The Grind. I heard about this from a friendly employee of Portland, Maine’s Bier Cellar craft beer shop last week during a trip to that fine city, and though I can’t really say he’s a trustworthy source—I simply don’t know the dude—Maine Beer’s recent Twitter activity seems to confirm Dinner double IPA’s existence. 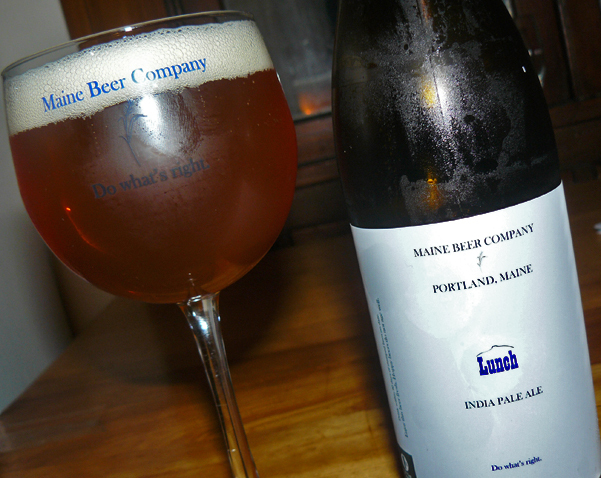 Maine Beer Co. is also based in Portland. Way back on November 7, Maine Beer Company posted a tweet in response to some other users saying it was working on a new double IPA. And then a few days later, it posted another tweet mentioning a “Dinner double IPA.” No release details are available as far as I know, but it’s possible we’ll be seeing Dinner in the coming weeks or months. 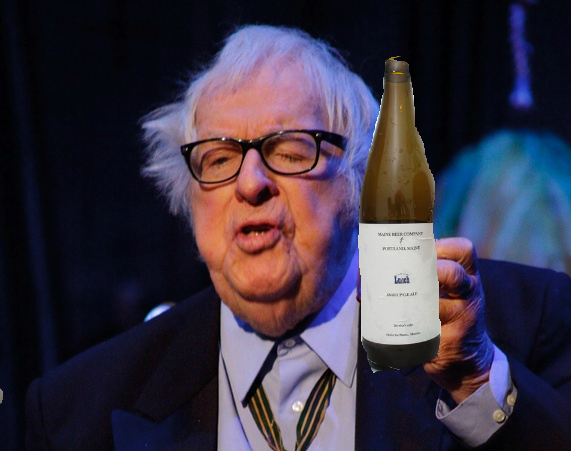 The Bier Cellar dude also said he’d heard rumors of another new beer from Maine Beer Company, called “Nothing,” which he thought would be a barleywine-style brew. But, again, I can’t confirm that information. Anyway, I can’t wait for Dinner. And I’m not even hungry. I’ve written about the importance of packaging and branding in the craft beer world a couple of times in this blog. In an increasingly competitive market where hundreds, even thousands, of bottles are placed next to each other on packed store shelves, unique, creative and visually-appealing labels and bottle design can help certain beers and breweries stand out and, in turn, sell more beers. The Maine Beer Company’s bottles and label designs immediately grabbed my eye the first time I saw them about a year ago. The dark-glass, 1 pint, 9 fluid-ounce bottles are tall, thin and smooth, and they feature elegant and simple white labels. Until very recently, those labels were made of thick, rough bond-like paper that was slightly rigid around its edges, as if it had been torn by hand. Unfortunately, the company recently switched to the slick, standard—and somewhat “cheap”-feeling—plastic labels found on many craft-beer bottles today. The labels still feature the same clean and simple design, but something was lost when the company switched from paper to plastic. If you live outside of New England, chances are you’re not familiar with the brewing company or their bottles. That’s too bad because the Maine Beer Co. makes some genuinely wonderful brews, and from a bottle/label-design perspective, Maine Beer really stands out. Or it did. I’m not going to stop buying Maine Beer brews, because the quality of the beer is more important than bottle design, after all, and I haven’t noticed any decline in beer quality. But Maine Beer already hooked me, and I picked up my first Maine bottle due largely to the look and feel of its bottles. I’m sure Maine Beer Co. decided to ditch the paper labels for cost-cutting reasons. 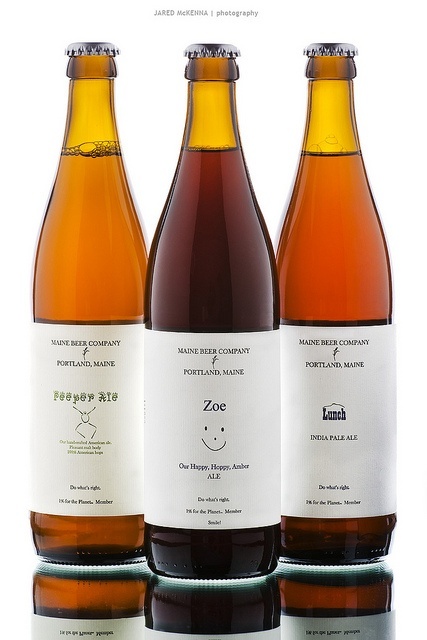 But the plastic labels may not inspire the next potential Maine Beer customer to pick up that first bottle in the same way the paper labels helped to draw me in. Check out the video clip below for more information on Maine Beer Company.